Welcome to The Aerial Studio! Please take a moment to complete the following registration form for your family. I acknowledge that my participation in circus arts, aerial arts, aerial silks, pilates, aerial yoga, yoga, acrobatic training, jumping, trampoline activities, and instruction activities entails known and unanticipated risks that could result in physical or emotional injury, paralysis, death, or damage to myself, to property, or to third parties.I understand that such risks simply cannot be eliminated without jeopardizing the essential qualities of the activity. The risks include, among other things: slips and falls; falling from equipment; rope burns; pinches, scrapes, twists and jolts that could result in scratches, bruises, sprains, lacerations, fractures, concussions, or even more severe life threatening hazards; strains, cuts, bruises, muscle soreness and fractures; musculoskeletal injuries including head, neck, and back; injuries to internal organs; the negligence of other people; my own physical condition; and the risk of emotional and psychological injuries or physical damage associated with this activity. Traveling to and from shows, meets and exhibitions raises the possibility of any manner of transportation accidents. In any event, if you or your child is injured, any medical assistance will be at your own expense. 1. Furthermore, TAS employees have difficult jobs to perform. They seek safety, but they are not infallible. They might be unaware of a participant's fitness or abilities. They might misjudge the weather or other environmental conditions. They may give incomplete warnings or instructions, and the equipment being used might malfunction. 3. I hereby voluntarily release, forever discharge, and agree to indemnify and hold harmless TAS from any and all claims, demands, or causes of action, which are in any way connected with my participation in this activity or my use of TAS's equipment or facilities, including any such claims which allege negligent acts or omissions of TAS. 4. Should TAS or anyone acting on their behalf, be required to incur attorney's fees and costs to enforce this agreement, I agree to indemnify and hold them harmless for all such fees and costs. 6. In the event that I file a lawsuit against TAS, I agree to do so solely in the state of California, and I further agree that the substantive law of that state shall apply in that action without regard to the conflict of law rules of that state. I agree that if any portion of this agreement is found to be void or unenforceable, the remaining document shall remain in full force and effect. By signing this document, I acknowledge that if anyone is hurt or property is damaged during my participation in this activity, I may be found by a court of law to have waived my right to maintain a lawsuit against TAS on the basis of any claim from which I have released them herein. I have had sufficient opportunity to read this entire document. I have read and understood it, and I agree to be bound by its terms. compensation will be paid to myself or my child for participating in this film, video and/or photography. If you do not want your child's picture taken, please add a note in the comment section below. Personal property accountability is the responsibility of each individual. We recommend taking reasonable precautions to protect his or her personal property. 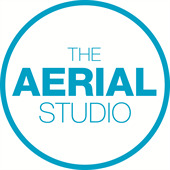 The Aerial Studio is in no way responsible for lost, missing, stolen or damaged items. The Ariel Studio accepts payments in the form of: Cash, Check, Master Card, Visa, Discover & Amex. *Any Cash or Check payment must be received and Posted by the office before your elected date of payment. Tuition due on the 1st of Each month and Late as of the 5th. Tuition due on the 15th of each month and last as of the 20th. All credit cards on file will be used for Payment to the Ariel Studio. If a client withdraws after payment of the tuition and fees, there will be no refunds. Furthermore, if a student is signed up for a session and is scheduled on auto-pay, the client is still responsible for the full payment of the session they signed up for. I understand and agree to pay any fees associated with The Aerial Studio's 24 Hour Cancellation Policy. If a client is signed up for a session, or series and does attend a class, they can make up each missed class with 1 hour of open studio within 30 days of the missed class. If a drop-in class is missed without giving 24 hours notice, the client may make up the missed class with 1 hour of open studio within 30 days of the missed class. If a drop-in class is canceled before 24 hours, the client may make up the class at a later date. All items are final sale except clothing which must be in new condition with tags attached for exchange only or store credit within 7 days of purchase.